PSR-S950, Keyboard Arranger from Yamaha in the PSR series. "Good Except Clanky High C"
I have just tried S950 at one of my friend's house, he just bought it new. 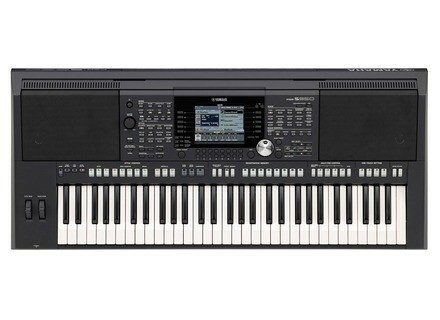 It sounds way worst than s750, let alone any korg arranger. Even korg's pa500 will blow it out of water. I dont understand, after psr 3000, yamaha kept on declining-stage in quality. I bought a psr s710, and it developed a fault and then i had to sale it. I remember i never played it more than one hour continuously because after that its sounds starts to give headache. I bought pa500, and i never want to take my fingers off it. Strangely, the new s950 my friend bought has developed a habit of automatically shifting pitch low to high, resetting to factory didnt help.